Home Columns	Ahead of Kigali Meeting; what lessons for Nigeria? The Member State Experts meeting in Ndjamena, Chad 1st week of July was very insightful and served as a rider to the issues that will be tabled and deliberated upon when the African Heads of State meet in Kigali, Rwanda towards end of July 2016. A press statement at the end of the Chad meeting emphasized that the “African countries sets the stage to end AIDS, TB and Malaria by 2030 “and also adopted Africa Scorecard on Domestic Financing for Health. With respect to the Africa Health Strategy and Catalytic Framework to end AIDS, TB and Malaria, the meeting briefed the experts on Africa’s new health policy architecture that will be endorsed by the Kigali Summit. The revised African Health Strategy provides the overarching superstructure to address Africa’s broad health and development agenda in the next 15 years. The statement has provided further insight on the Catalytic Framework that serves as a business model for investing for impact to end AIDS, TB and Eliminate Malaria in Africa by 2030. The framework focusses on three strategic investment areas, each with clear catalytic actions. These areas are health systems strengthening, generation and use of evidence for policy and programme interventions and advocacy and capacity building. The Framework provides bold and ambitious targets to end the three diseases by 2030. The 3rd item discussed was on expanding the fiscal space to finance health. The experts meeting reviewed an AU commissioned study on Innovative and Domestic Financing for Health. According to the study while innovative financing can provide a steady, sustainable and equitable way of generating small amounts of additional resources, it is not a panacea for Africa’s health financing resource challenges. The study points out that innovative health financing can be useful where it is able to create room in the budget for additional spending while not jeopardizing the fiscal stability of the economy. Overall, innovative health financing complement traditional government revenue generation and only as a short-term solution to funding needs while governments work to expand the tax base. What lessons could Nigeria learn from this Ndjamena meeting as our President Buhari and his team set to attend the Heads of State Summit in Kigali end of this month? 1st and foremost the signed 2016 budget has overall provision of N6.06 trillion. Health sector got a total of N06 billion roughly the health sector budget is about 4.16% of the total budget. With 4.16% of the budget to health which is far from Abuja declaration target, Nigeria hasn’t shown much commitment regarding domestic financing. 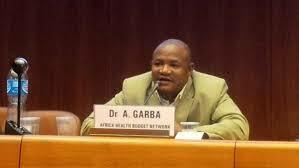 With respect to using National Health Accounts and institutionalizing the System of National Health Accounts (NHA) as a means of performance monitoring of the Africa Scorecard, Nigeria is far from joining other African countries as the country is yet to grasp the benefit of NHA not to talk of institutionalizing it as part of its routine data collection system. For expanding fiscal space for health. It is also another long shot as the 2014 signed National Health Act that committed the country to allocate 1% of its consolidated revenue fund is yet to become operational; as guidelines are still awaiting.